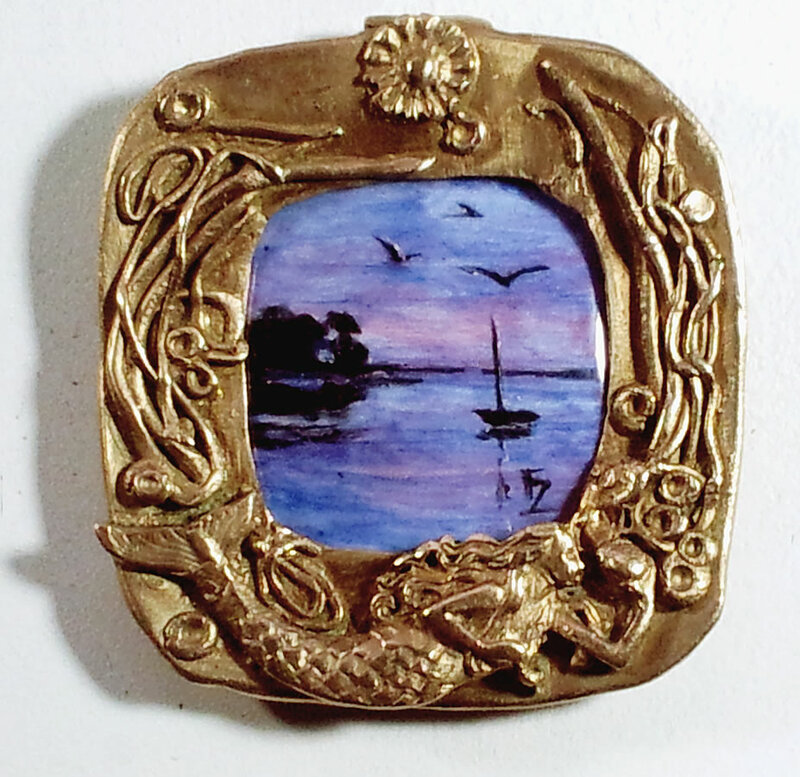 Hand painted miniature landscape : enamel painted on a white opal enameled copper. Each of the 7 layers of enamel paint was fired at 770°C/1418°F. 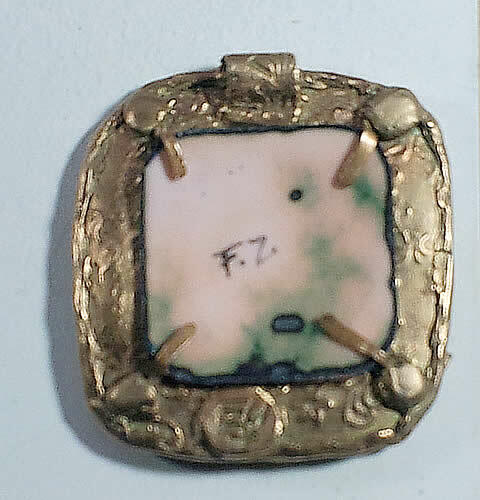 Then set in a self- handmade bronze frame .